The Middleton School District is welcoming teachers and aides back into the classroom. This move will take place over the next few days. 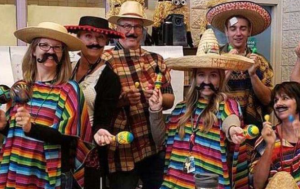 CBS 2 News reports, the teachers were placed on leave after a photo of them was posted on the school’s Facebook page dressed in costumes depicting Mexican stereotypes and others dressed as the “border wall”. The school district says they are focusing on healing and growing together as a community. The entire Middleton School District staff also took part in a cultural sensitivity training Wednesday.